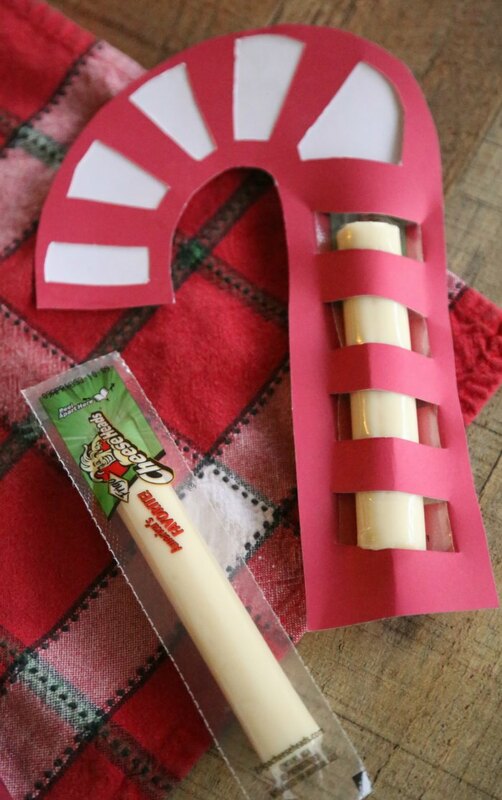 This Christmas Snack Idea post is sponsored by Saputo Cheese USA Inc.
Download and print the Candy cane template to make things easier. 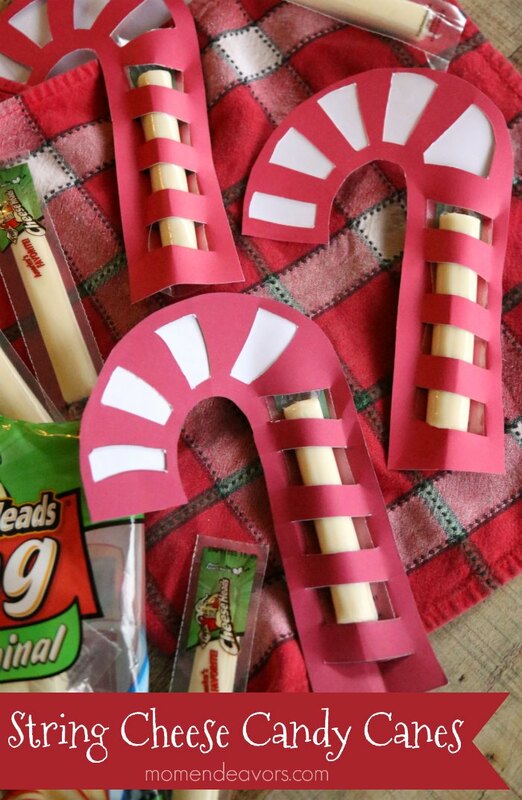 In order to slide the string cheese in (without ripping the paper), you’ll need LARGE candy canes. 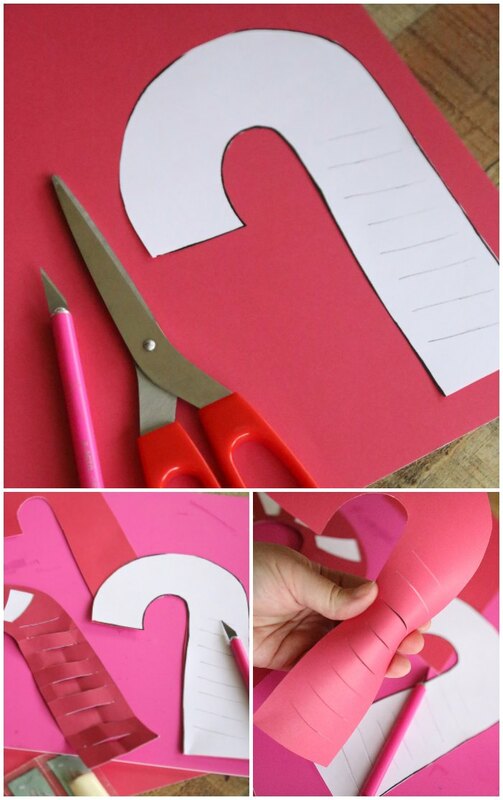 Use the template to cut out candy canes from card stock. 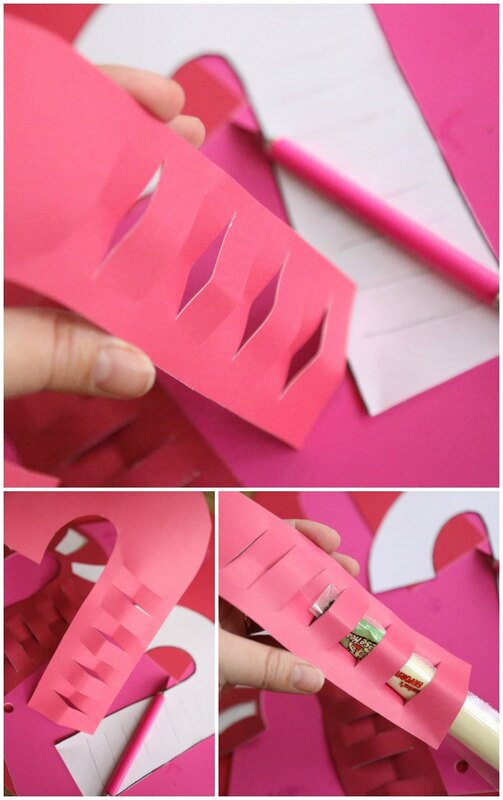 Place the paper template over the card stock and cut over the slit lines using an X-ACTO knife, being careful to NOT cut all the way across. Bend and crease the candy cane just slightly to help open up the slits. You’ll want every other piece going the opposite direction (so one layer will pop forward and the next layer goes back). Once the slits are open, carefully slide a Frigo® Cheese Heads® String Cheese through the slits. You could leave your candy canes just like that. 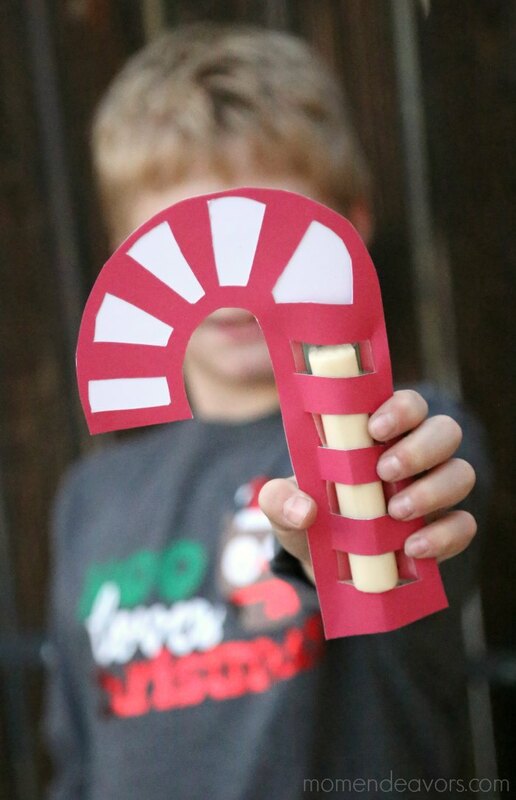 Or, to complete the look, you can cut sections out of the hook part of the red card stock, then glue/tape on white paper to the back, giving the full candy cane look. Either way is sure to be a hit with the kids! So fun and cute – a stringalicious Christmas snack! It’s perfect during the holidays! 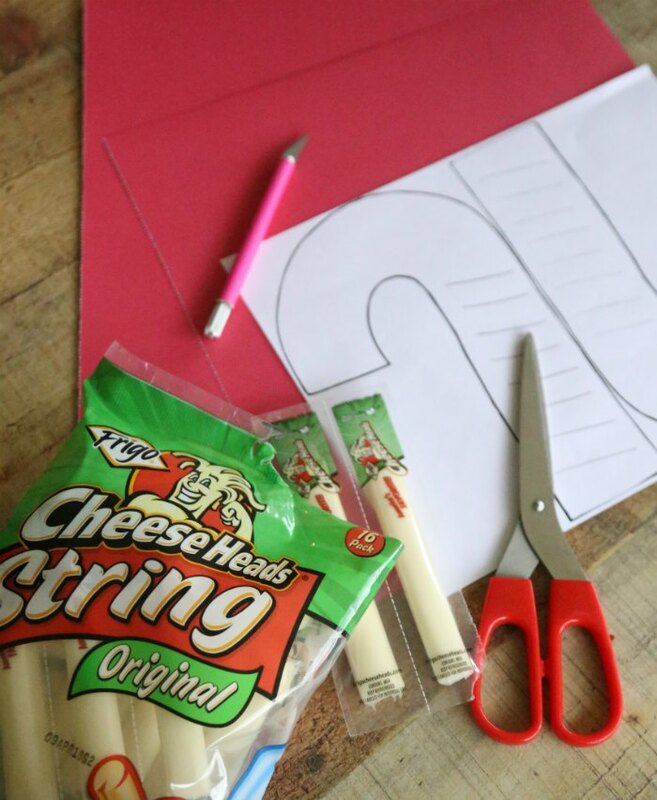 For even more fun snack time ideas, be sure to head over to the Frigo® Cheese Heads® String Cheese website! Happy Christmas string cheese snacking! Disclosure: This Christmas snack idea was created in connection with my agreement as a contributor to Saputo Cheese USA Inc. However all opinions, ideas, and photography are entirely my own. We’ve been eating Frigo® Cheese Heads® String Cheese for years – long before I was blogging!